We are an independently owned Canadian pharmacy that was founded in Sarnia in 2015 to provide exceptionally unique pharmacy and medical services to the people of Sarnia and Lambton area. To improve the health and wellness of our community by providing timely access to comprehensive medical and pharmacy services. 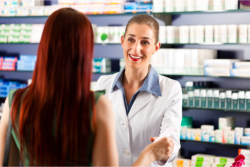 Wiltshire Pharmacy is your local drugstore with world-class services. We make sure that we always meet your health needs.